U.S. Army Privates negotiate the “Victory Tower” at Fort Jackson, SC Oct. 25, 2012. 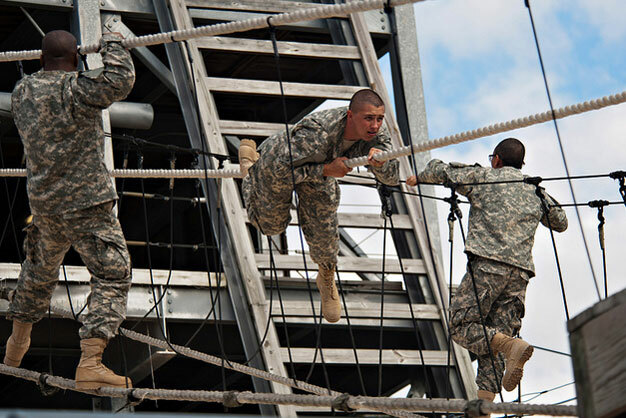 Victory Tower is a military obstacle course designed to build confidence in new Army recruits. U.S. Army photo by Staff Sgt. Teddy Wade.